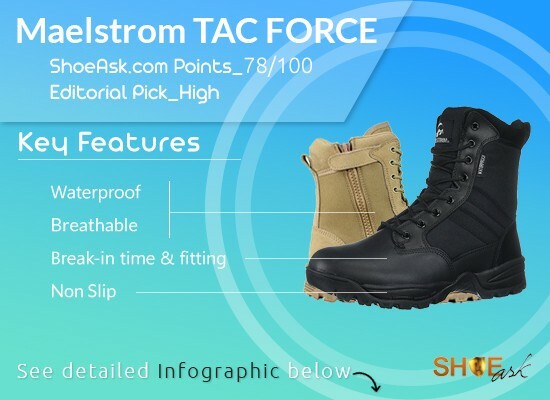 Every pair of boot or shoe is usually target-made. 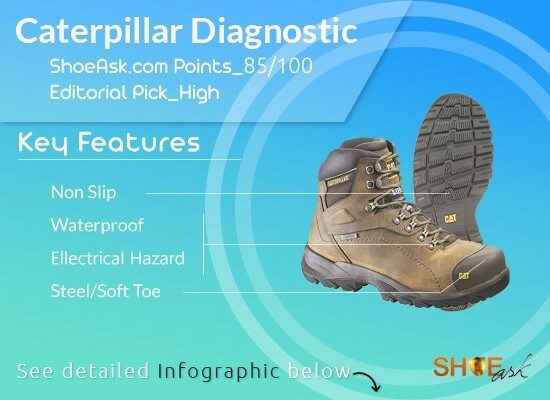 What’s the target behind launching Rocky Mobilite boots? 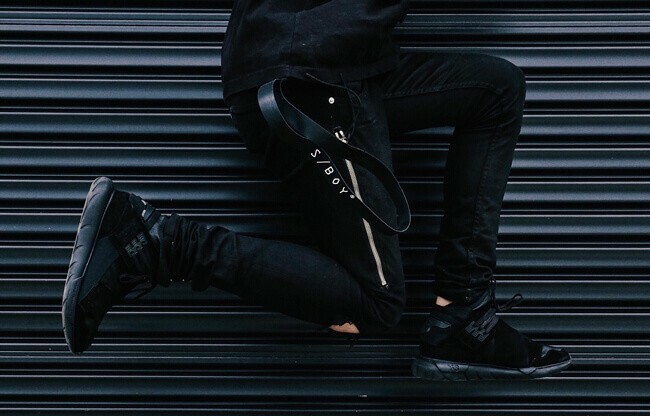 ShoeAskers are pretty sure that Rocky targeted ultra-comfort. 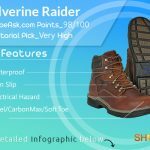 So, these stay on a top position in the chart of comfiest boots.These are indeed premium, manly work boots, packed with awesome features (and there are some cons as well). Wanna read an excellent evaluation? There are six pairs in the Mobilite class. Premium breathable waterproofing by Rocky Waterproof. “Widest oblique toe box in the industry” as rocky claims. 3-density supportive EVA midsole for extensive comfort. 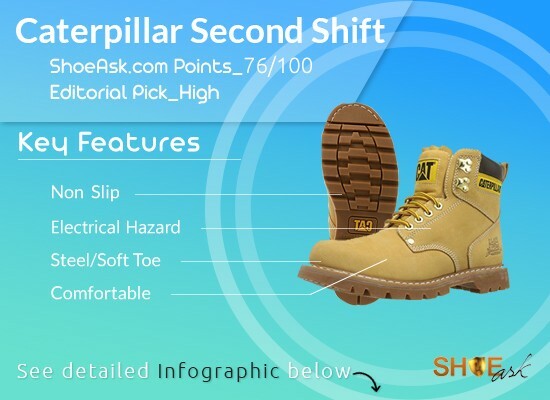 Oil resistant 3 part (cemented together) rubber MobiLite outsole is lighter than standard soles. TPU shank for flexibility, stability and lightweight. 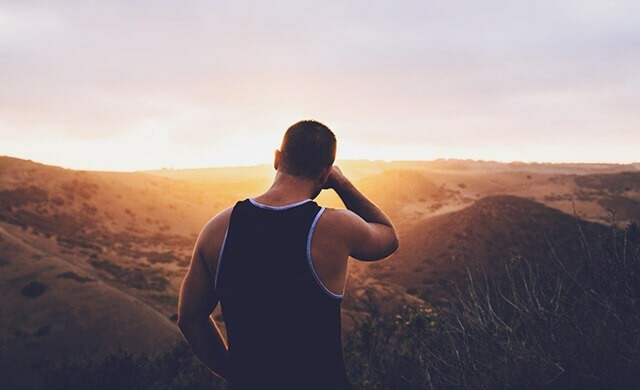 Solid, manly, stylish yet uncommon outlook. Super comfy padded collar and tongue in non pull-on boots. 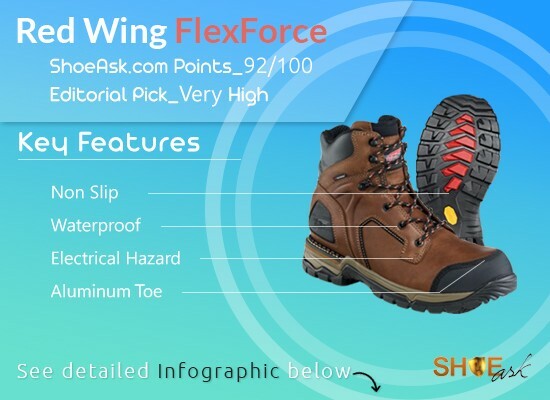 Abrasion resistant toe and ankle. Stabilizing heel counter helps during climbing or bending. 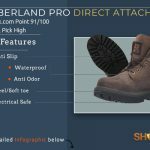 Upper looks better than most of the premium work boots. Editorial Recommendation: Very high, editors’ choice for unmatchable features, look, comfort and price. Above-average durability and best of the best comfort. If you think it will be good to invest a bit more per month for unmatched comfort- these are for you. 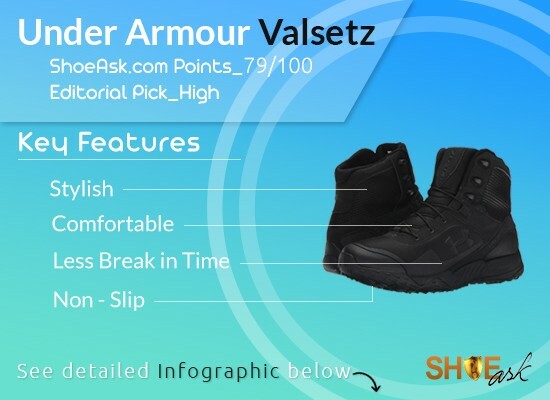 It is pretty common to use them for 3-5 years; if you can use Mobilites for such a timespan, then they will turn into the cheapest premium boots. 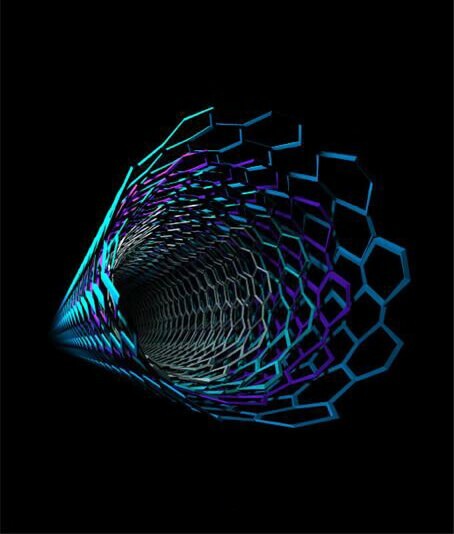 This is a wide as well as unrelated classification. Why? Mobilite is OK or more than okay for a number of circumstances. From firefighting to hiking through construction jobs they rock. 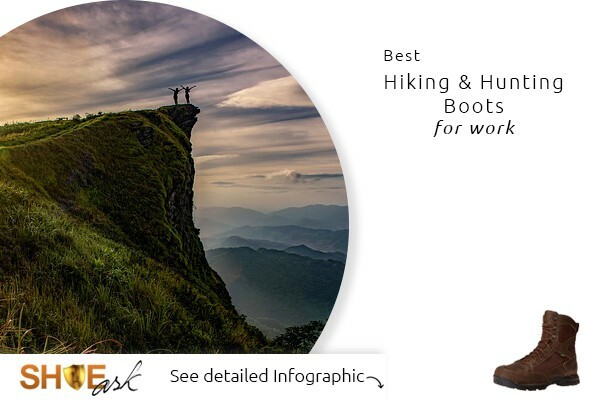 Best for: Firefighting, hunting, hiking, camping, standing and walking all day in concrete. Engineers, on-site officials, foremen and site inspectors will find Mobilite suiting the best. Better for: Construction, ladder climbing, electricians and technicians. Pull-on or wellington versions are better for farmhouse, backyard and gardening. OK for: Manufacturing, warehouse, law enforcement, security, military and special forces. Rocky’s a good old brand. There are workmen who use Mobilite for 15-20 years. Rocky boots are cheaper yet premium. 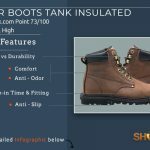 You will be hard pressed to find an old American brand selling supreme quality and awesome stylish boots at this price point. 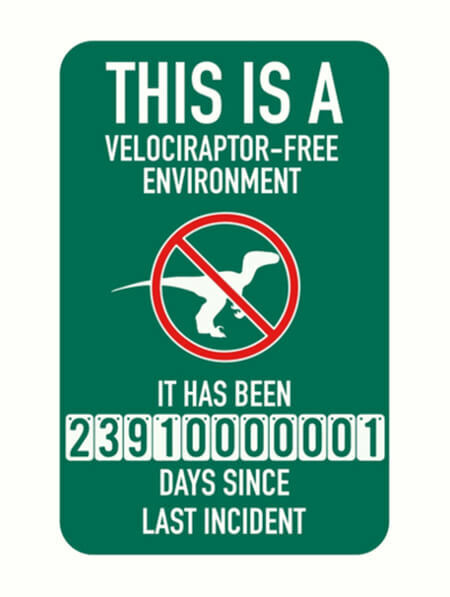 Mobilite has the most unusual lifespan as well. We did not find any pair that usually last for 1 year and 5 years! 6-10 month is a minimum. What’s the practical average? 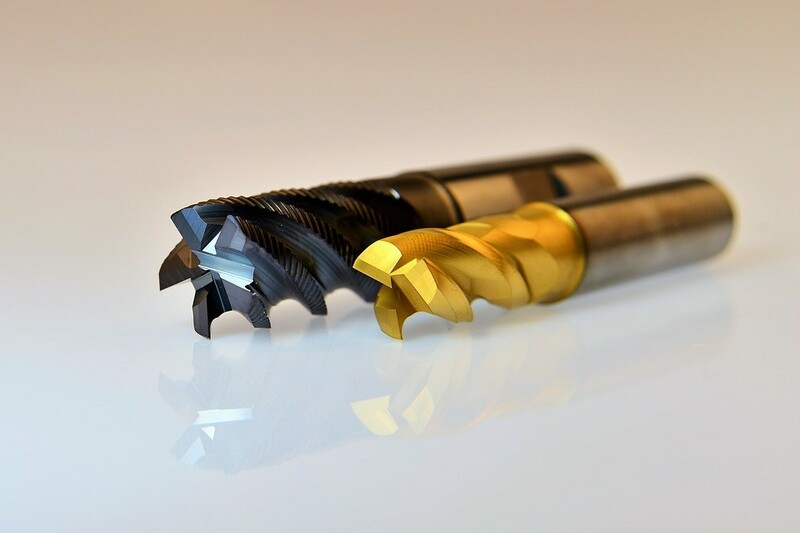 If you are a rough user, expect to use them for 8-18 months. 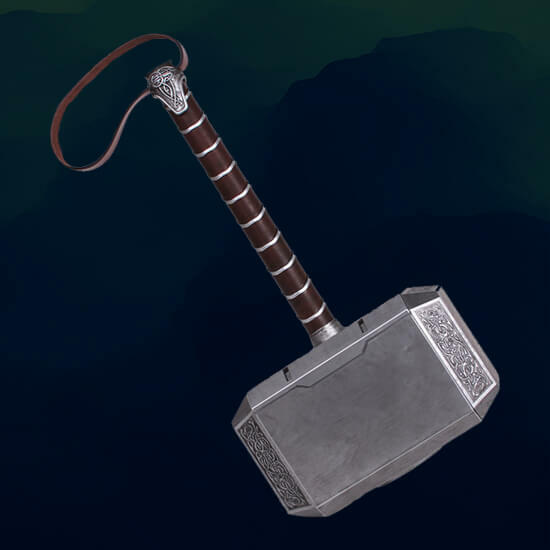 Minimum durability for careful use should be 1.5 to 2.5 years. Use two pairs, the lifespan will be increased from 1.5x upto 3x. 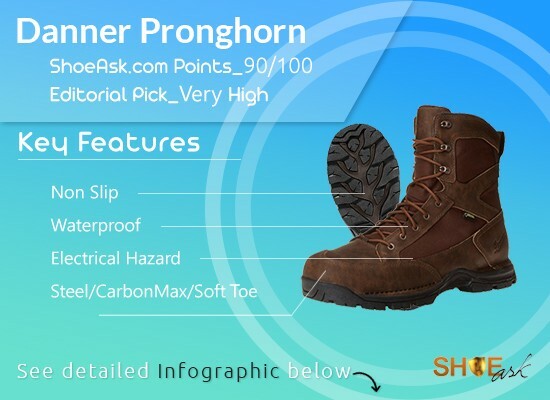 One of the most comfortable steel toe work boots. No doubt. There are a number of factors behind comfort nearly all of which are covered by Rocky. Mobilites feature guaranteed Rocky® Waterproof construction which is breathable as well. Sounds like gore-tex class service. However, you should be aware while spraying water from above. There are certain openings worth consideration. Their soles retain ample traction for hazardous work sites. Legendary oblique toe box is very good for the forefoot. Wiggle room for the toes mean a lot for us. You can get steel or soft toe ones. Pull-ons have comp toe. They call it, ‘Protective Toe’; ASTM F2413 protective toe classification. 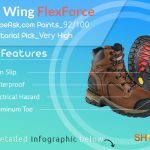 Explore our article on safety toe for more. Mobilites fit true to size and no break-in time required. Some of them feature ASTM standard EH while others do not. 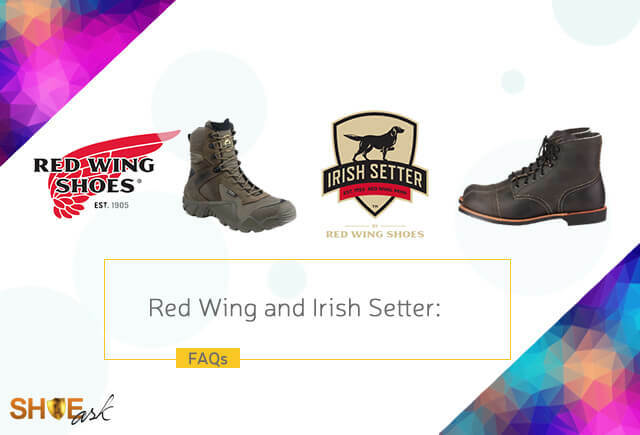 They are vibrant, manly and look exceptionally better than other high end work boots. Suits from the barracks to sites through jungle, mountain and even casual wear. 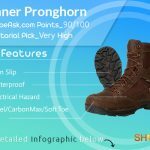 How boots look is pretty important. Breathable yet waterproof. Take a look at them, Mobilites are big and chunky (not heavyweight), also, they are completely wrapped with leather. Definitely not as breathable as mesh-featuring non waterproof boots. They also have pretty good insulation which somewhat inhibits cold. Soft, full grain, gorgeous leather. High abrasion heel counter leather is so tough that it can withstand metal abrasion. Solid, good looking upper is sewn together with care. The heel support is very comfortable thus sort of delicate. They may fail to hold up after more than one year of use (or may keep supporting you for 5 years). The lace looks good, eyelets last long. The collars are not usual rather they suit anatomical proportions. Top class cushioning. Collar material is waterproof.Tongue is slightly bigger and fluffy enough to keep the lower leg parts warm in winter. They are lightweight. Lighter than most in the class. Removable well padded polyurethane footbed, EVA midsole and TPU shank provide ample support. Recently there are some issues with the insert. 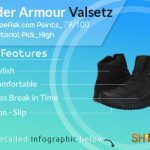 Some of the users say that last year the insole was not good enough.They were meant to provide ample arch support, but there are some dissatisfactions as well. If it does not come with good arch support, it would be better to buy some removable ones. As we already discussed, their unique outsole comes in three layers glued together. 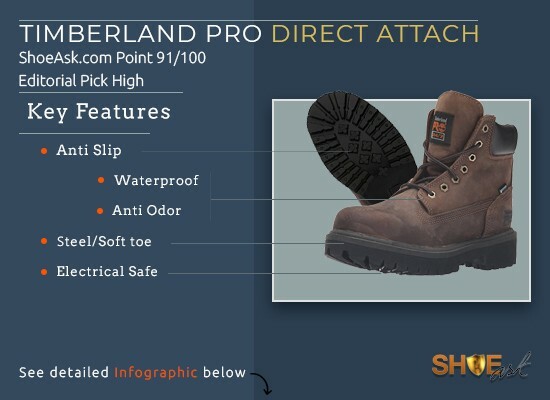 The cemented boots are more flexible, easy to wear and run. Upper part is sewn with caution. 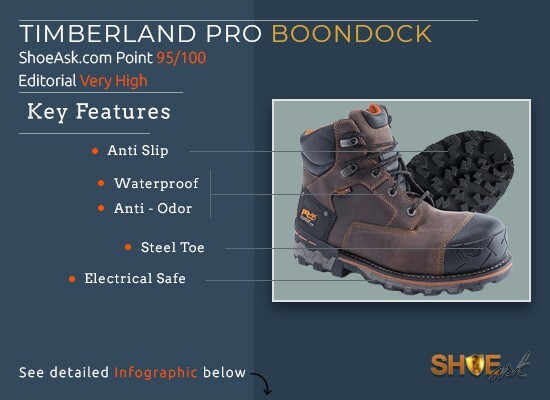 Outsole picks up mud easily and is not self cleaning. There is no anti-microbe treatment in the inners. They are breathable which helps Mobilite stay stink-free. Uppers are easy to clean. Rocky has a support desk to listen to buyers’ suggestions and evaluations. There’s a return ticket option on Rocky’s official site. Rocky provides free return on some sizes and color on Amazon. 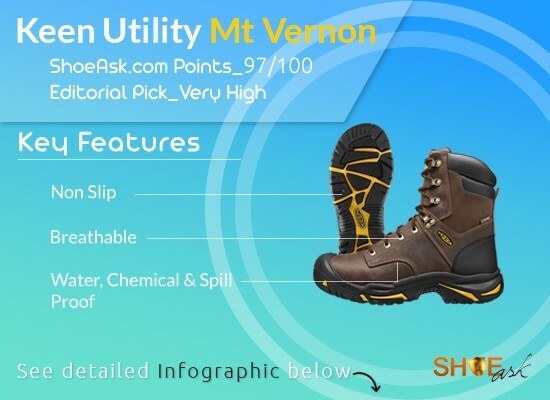 Brand is a huge factor while choosing vital gears like work boots. Special toe box, outsole and collar cut. High abrasion heel counter, mobilite stability. Comfort, flexibility, speed, good looking. 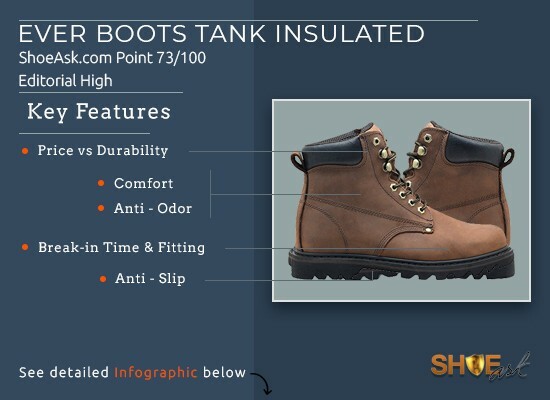 Cement construction gives flex and lightweight but outsole may come off sooner than the welted boots. Uncertain durability. May last for eons or may not last for a year. Softer multi layer outsole is comfy but they may wear off quicker than the average. Footbed used to be cushy, now since last year, some users report that the onboard insert is not as great or not even as expected. Many bought extra insoles. However, buying extra inserts is a trend now. Mobilites are breathable but they can get a little warmer during summer days. 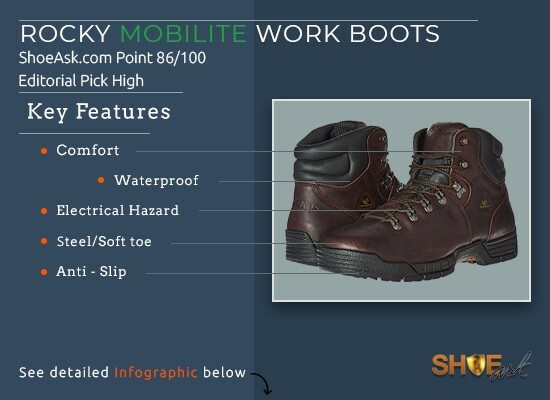 High-quality materials, steel protective toe, support, water resistance and cushioning… if those features are on your list, these Rocky Mobilite ST WP Work Boots are the ideal choice for you! Made for comfort, speed, flexibility, lightweight and vibrant outlook. 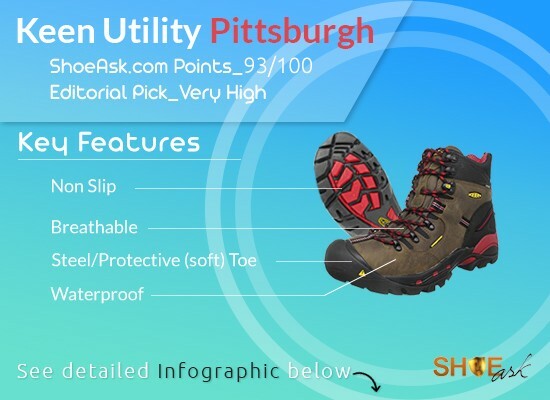 ShoeAsk editors chat around saying, Rocky rocks with some flaws. Don’t forget to express your thoughts on the comment box.